The Bistro kettle has efficient boiling for water. 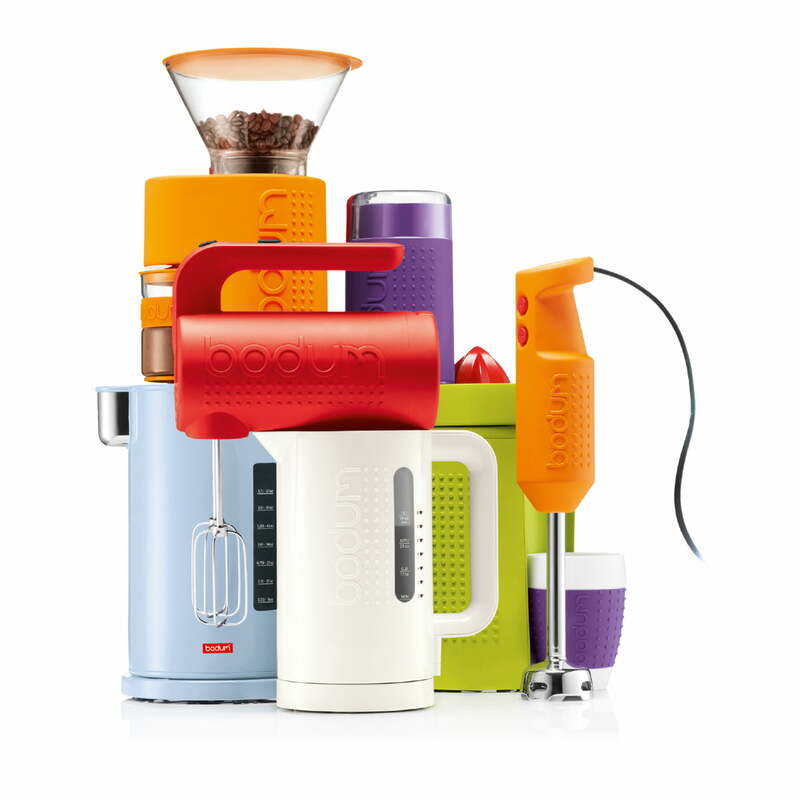 The Bistro kettle meets modern requirements for efficiency, speed and safety, in a colourful design. The Bistro kettle with a 0.5L capacity is perfectly suited for boiling smaller amounts of water. The small capacity makes measuring out the water easier when large amounts of water aren’t needed. This is not only practical and increases the boiling speed, but it is also energy-efficient. So you only boil the amount of water you need, avoiding unnecessary energy consumption. 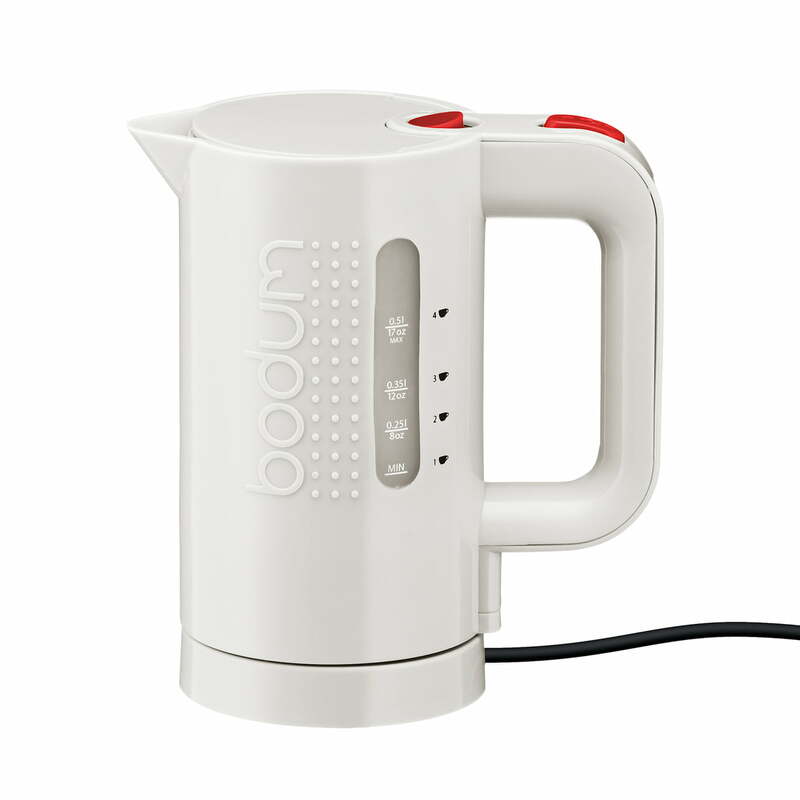 Furthermore the Bistro kettle due to its lid prevents hot water from splashing and boiling over, as for example might happen when boiling water in an open pot. The boiling process can be interrupted at any time without difficulty by means of the integrated on / off switch. 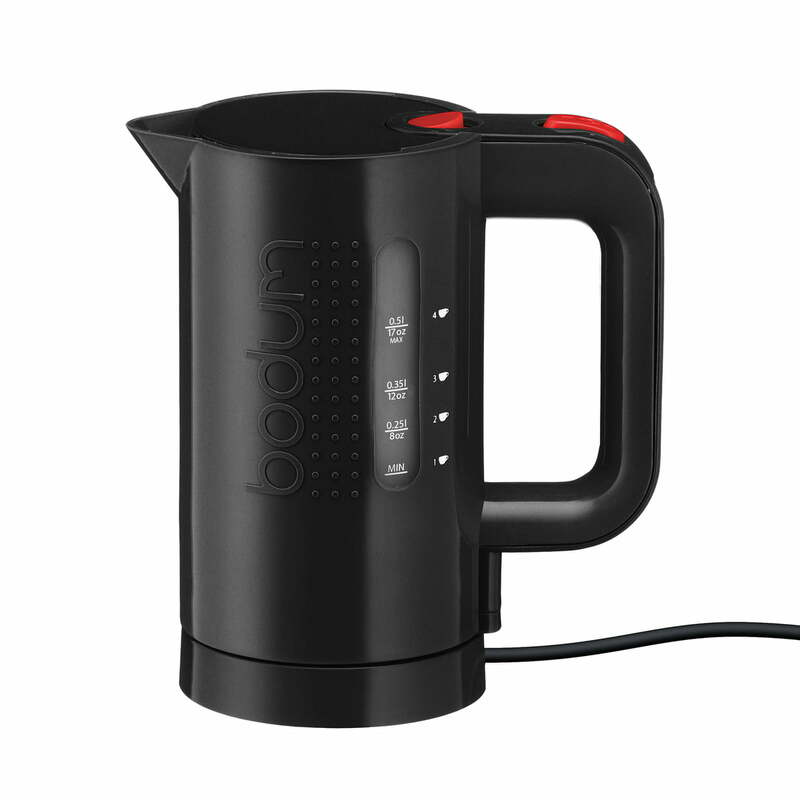 The Bistro kettle by Bodum consists of plastic, stainless steel and silicone. It is available in many colours.